Literally very few things I like more than Krispy Kreme Doughnuts. It's my downfall in life, but what a way to go! Little Blog Dress Media is proud to sponsor the 49th Annual Easter Beach Run, it has been a joy to work on this event promoting it. 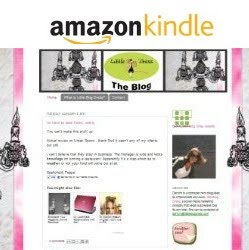 It is historic and awesome and I feel honored to be a part of it! And NOW a first ever popup! 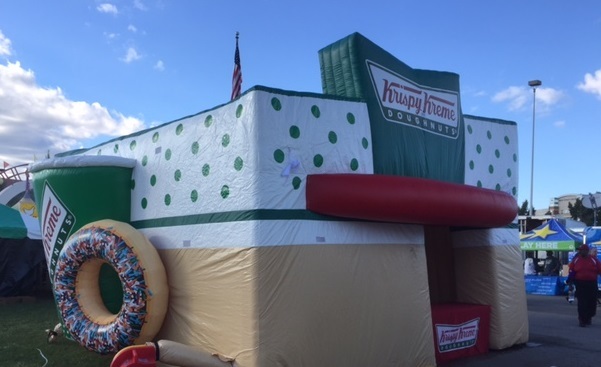 Join Krispy Kreme Doughnuts for the Debut Special Appearance of the New, Giant Inflatable Pop Up Shop during the 49th annual Easter Beach Run Daytona Beach on Saturday, March 26. Fans have enjoyed the iconic Krispy Kreme Daytona Beach location at the intersection of Nova Road and International Speedway Boulevard for more than 50 years. 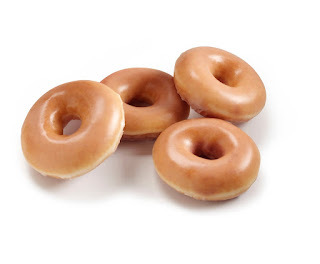 For special occasions, the Pop Up Shop brings the joy of Krispy Kreme to various community events with its inaugural appearance on the sandy shores of Daytona Beach. The course begins right on Daytona Beach and will start at 7:30am. The festive themed run was first held on Easter Sunday as an activity for visiting college students, and today, it has become the longest consecutive race in Florida. 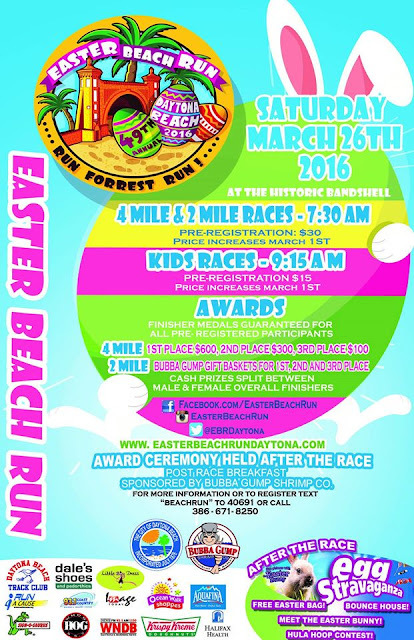 Participants can look forward to a scenic run on one of the most famous beaches in the world and can either enjoy the 4-mile race or 2-mile fun run/walk. Kids are welcome to take part in the ¼ mile race as well as the 100 and 50-yard dashes. After the race, participants will receive finisher medals, shrimp and grits from title sponsor Bubba Gump Shrimp co. and there will also be an awards ceremony. With more than three decades of expertise as an authorized franchisee of Krispy Kreme Doughnut Corporation, Florida Family Foods is a second-generation, family-owned business successfully operating Krispy Kreme shops throughout Central Florida to include Melbourne, Daytona Beach, Winter Park, Millenia and Kissimmee. Florida Family Foods earned national recognition for the brand’s “most innovative local relationship marketing program” in 2014 and continues to partner with numerous non-profit organizations and community-based programs annually. Stay social with your local Krispy Kreme shop on these channels www.facebook.com/KrispyKremeDaytonaBeach and www.Twitter.com/KKOrlando.